Cross International is proud to partner with Sanctus Real to help the poorest of the poor around the world in the name of Jesus. Together, we can feed the hungry, provide water for the thirsty, shelter the homeless, and care for the sick and the fatherless – demonstrating God’s amazing love in specific and tangible ways. The members of Sanctus Real recently traveled with Cross International to Nicaragua to visit our ministry partners. Check out the video! 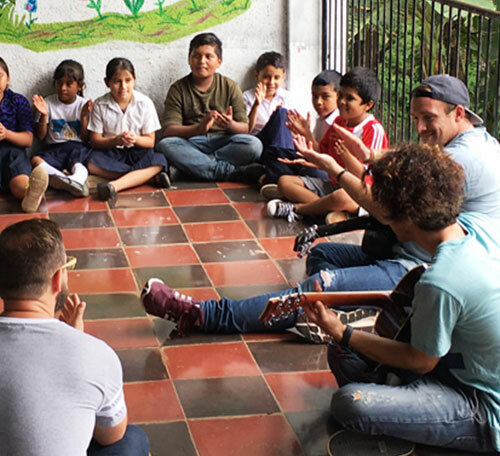 Like the band, you can directly and profoundly impact the lives of needy children and families desperate for hope. As the Body of Christ unites for this cause, we will change the world with the power and dignity of the Gospel! For additional information, feel free to contact Mari Kraljic at 1-800-391-8545, ext. 264 or MKraljic@CrossInternational.org.